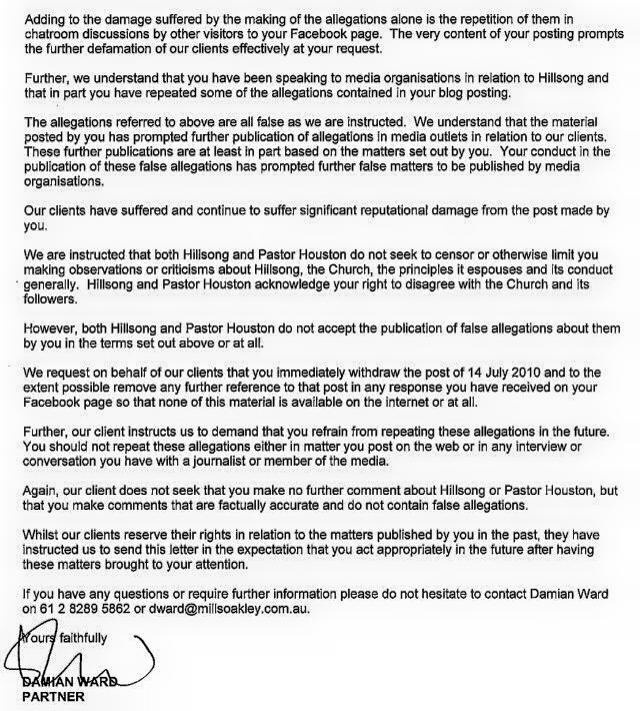 Home › Hillsong › Heavy-handed Hillsong: Houston releases his lawyers on Mr West. The question is often asked why we remain anonymous. This article shows what happens to those who ask too many questions publically. 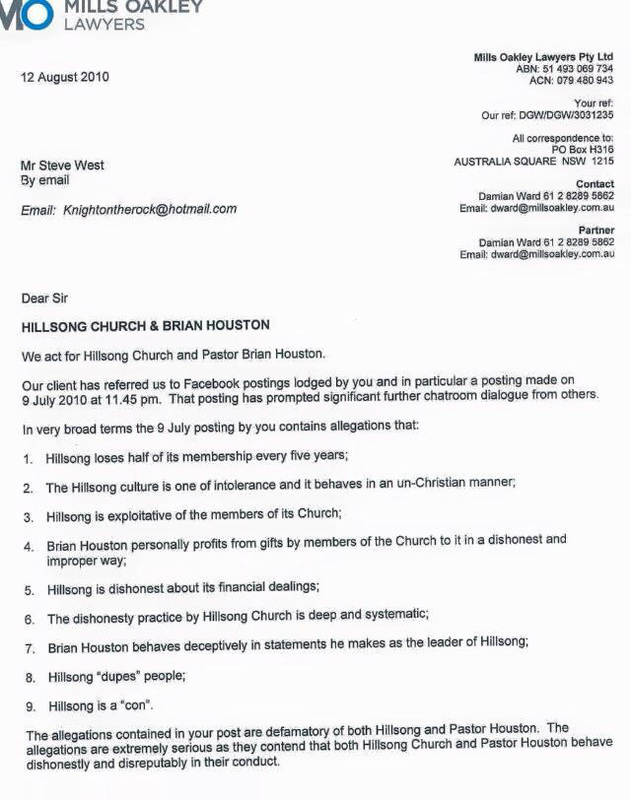 Quite a while ago, we looked at Steve West (formerly involved in ministry at Hillsong) and how the Australian media exposed the problematic behaviour found in Hillsong and its leadership. At face value, the morals and ethics of church watch are in the sewer. A Google search on parts of the Facebook posts by Steve West and the legal letter find only these pages on church watch. Steve West has deleted those pages on Facebook that you have reproduced. What right do you have to reproduce what someone has deleted; deleted at least more than three years ago. Whatever the reason is West deleted the pages, the result is that it presumably meant that he complied with the request in the legal letter. You are morally bankrupt. And not at all Christian. Interesting – I’m clearly seeing it posted two weeks ago on Facebook. Never mind – it’s not unusual to prove you wrong. We can still see it, but just to be fair (unlike you), Facebook is notorious for changing the “scroll down” content every time it’s refreshed. I think this is good. 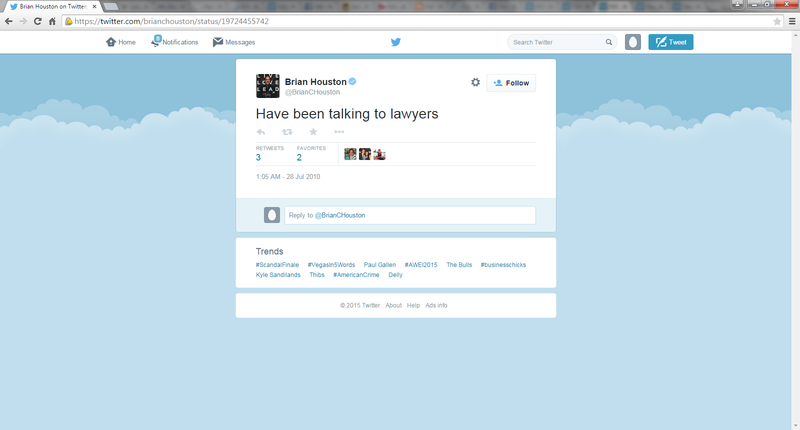 Anonymous bloggers really are not anonymous and should be held accountable when they engage in defamation. Perhaps this will be only the first shot fired across the bow of the ship. Lacking imagination – just as false teachers (Brian Houston) will be held accountable on that great and glorious day? I sincerely hope that you weren’t talking about me and my posts. I do not post anonymously on this subject.